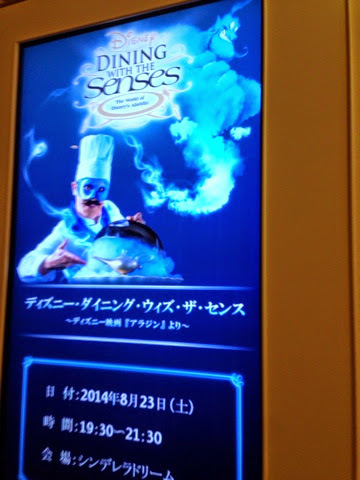 The event was held in Tokyo Disney hotel and like a dinner show. 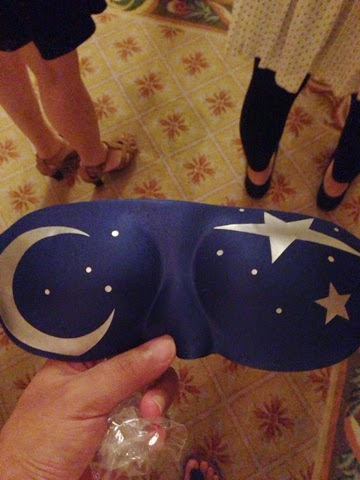 This time's theme is Aladdin. Previous one was Beauty and the beast. Firstly we checked in front desk, and were shown up to the waiting room. Then staffs gave us a blinder!! We were in four senses world. They brought us to our table. 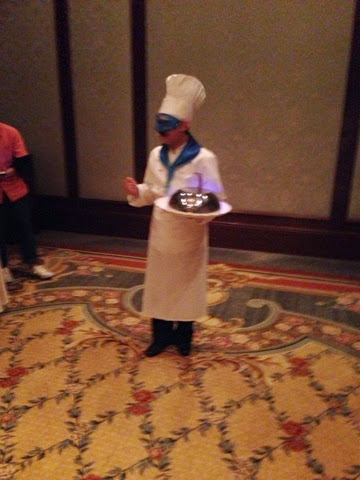 Magical chef and Aladdin served full course dinner by introducing each dish by sound. During the show we have to wear the blinder, so we concentrated perception of hands, nose, mouth and feeling. It's an interesting experience! I don't know if this opportunity is in US Disney. Try it if you understand some Japanese..